 Filtering is a quick way to see all tasks assigned to a user, or in a project. 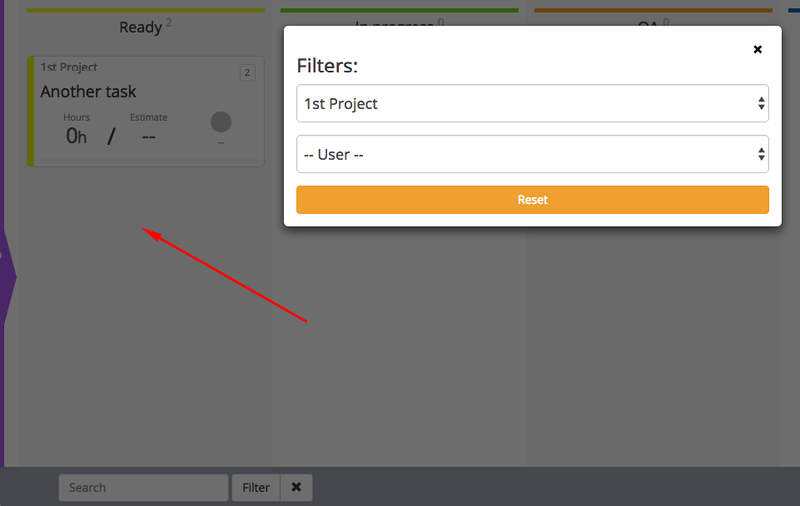 To open the Filter modal window, click the “Filter” button at the bottom of your board (next to Search) or use the Shift + F keyboard shortcut. 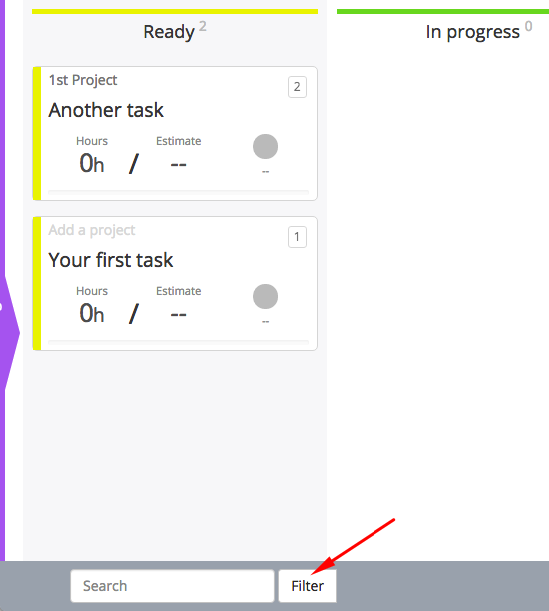 With the Filter modal window open, choose the project or user you want to filter by. 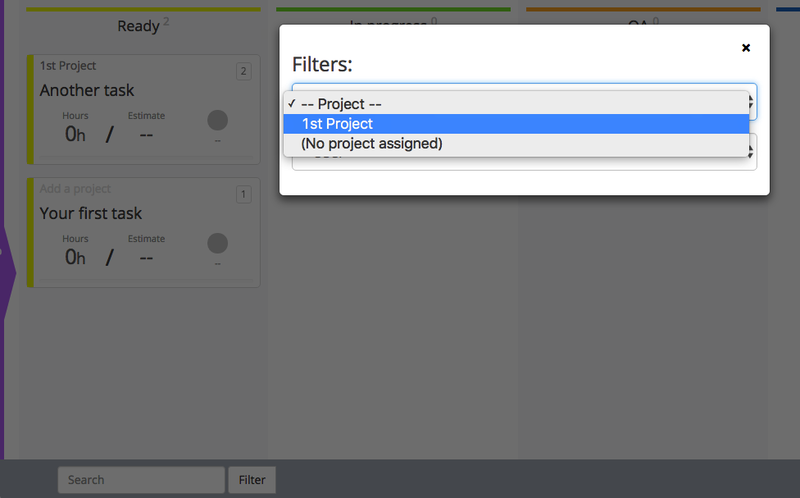 Selecting the filter criteria will show or hide tasks in the background, depending on if they match your filter. To reset the filter, click the “Reset” button. When you filter it also updates the URL, so you if you always want a filter applied to your board, do your search and then bookmark the results!